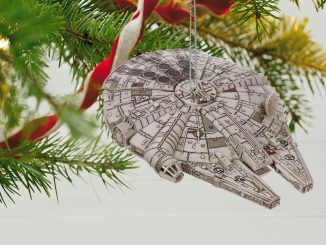 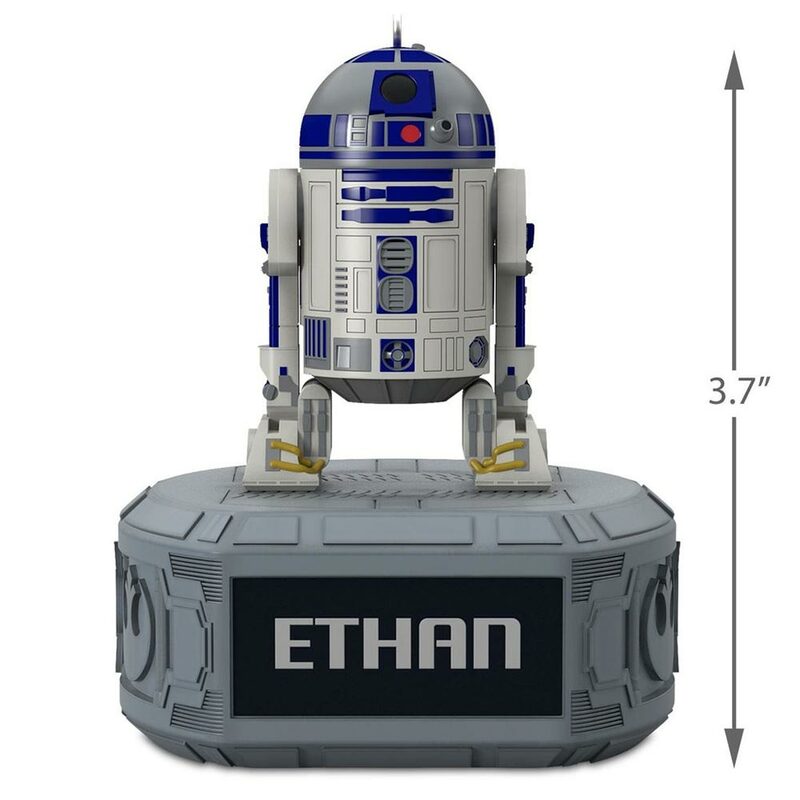 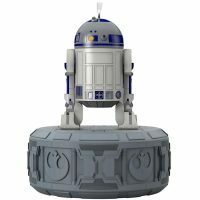 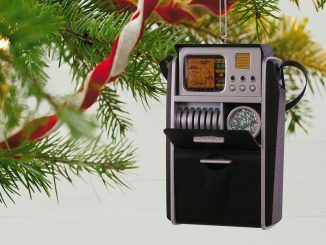 While there are many incredible Star Wars ornaments from Hallmark this year, such as the Death Star, X-Wing, and Millennium Falcon, this Star Wars R2-D2 Personalized Ornament may make the best gift because you can customize it with the recipient’s name. 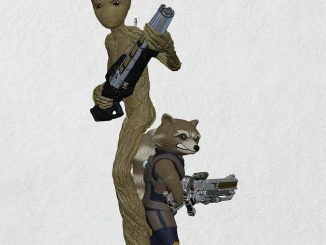 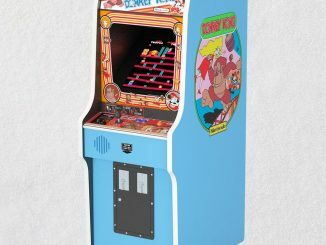 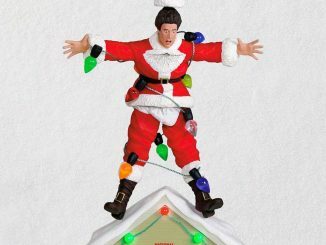 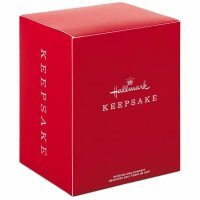 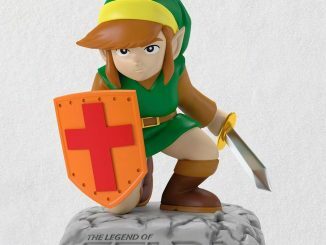 Plus, it is a Hallmark Keepsake ornament, so it comes in a nice box for easy gift-giving. 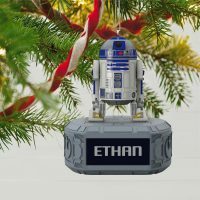 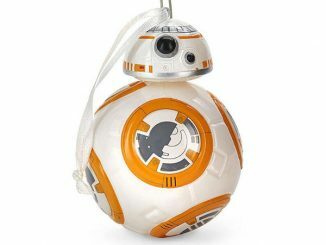 Standing about 3.7″ tall, the Star Wars R2-D2 Personalized Ornament is very detailed. 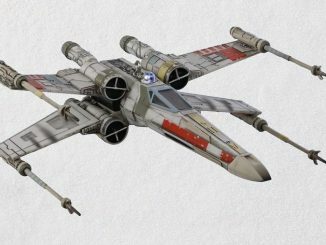 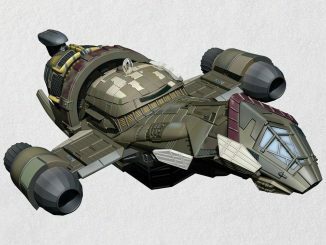 It features everyone’s favorite astromech droid standing on a platform that features the Rebel Alliance Starbird insignia. 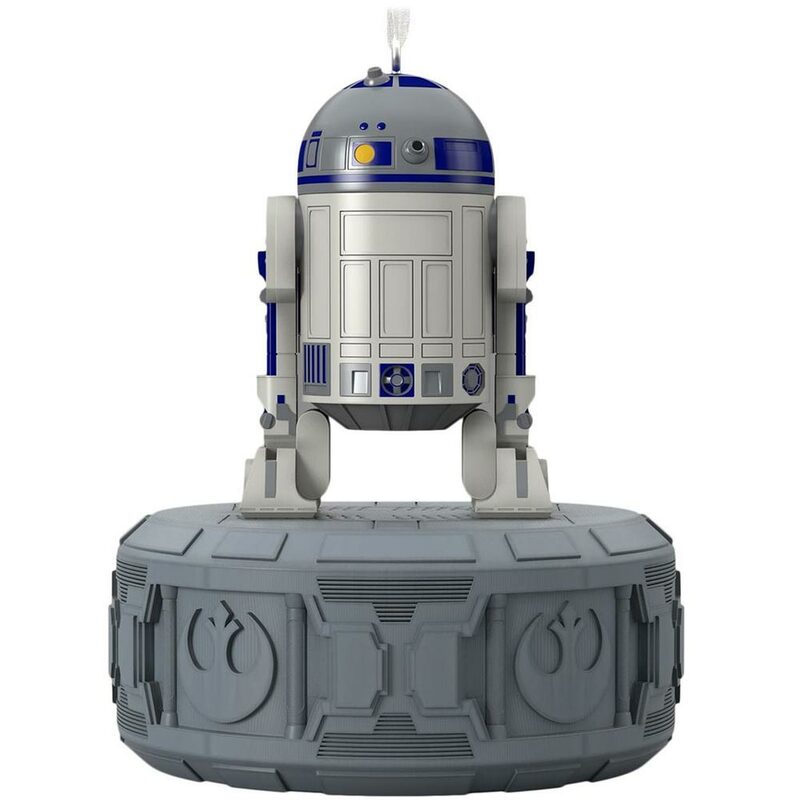 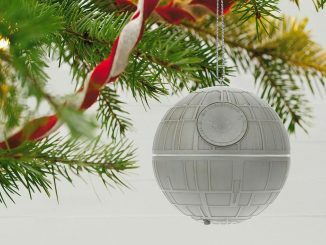 This highly-detailed ornament features beloved droid R2-D2, on a platform bearing the emblem of the Rebel Alliance. 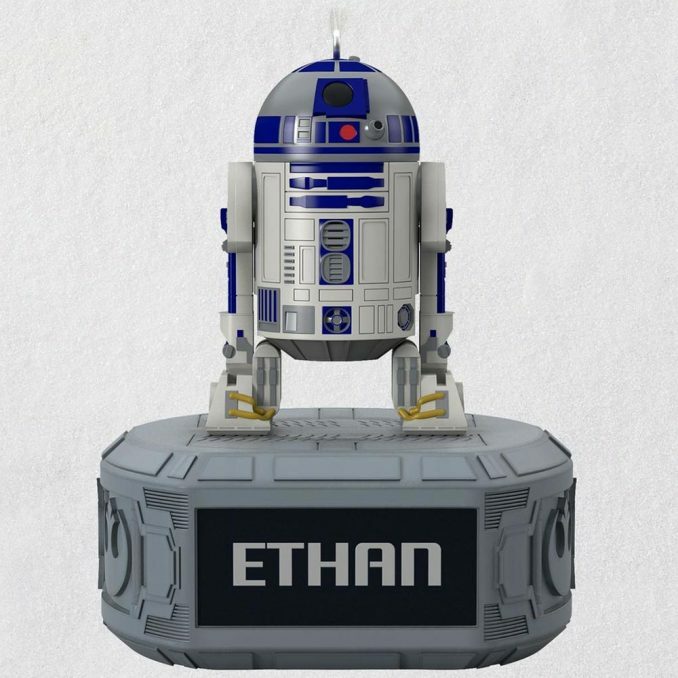 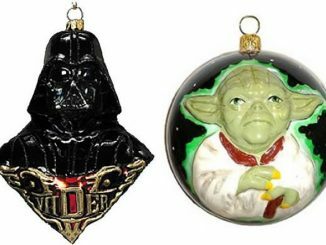 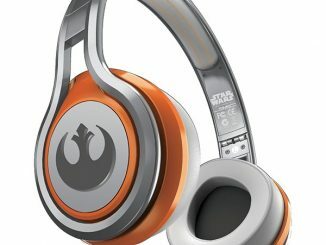 Personalize it with the name of your favorite Star Wars fan for a gift that’s classic and collectible. 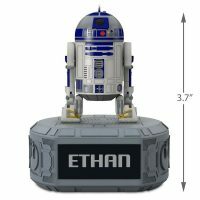 Add a name to personalize it.